I am here to help you celebrate your life’s greatest moments through cake! With the exception of the occasional help and constant support of my husband, It’s Gonna Be Sweet Bakeshop is a one-woman show “keeping things sweet” in the Dallas-Ft. Worth area. All aspects of this business from communicating with you, the client, all the way through the baking and decorating processes are done by yours truly, Dianne Rodriguez. When I think back on the whole process that got me into baking, I am still astonished that I managed to stumble my way into this business. I had started experimenting with baking recipes for the FIRST TIME six months before I started culinary school in July 2010. At my leap of faith to pursue something I was actually excited about, I give God all the credit at how it resulted in talent and skill. 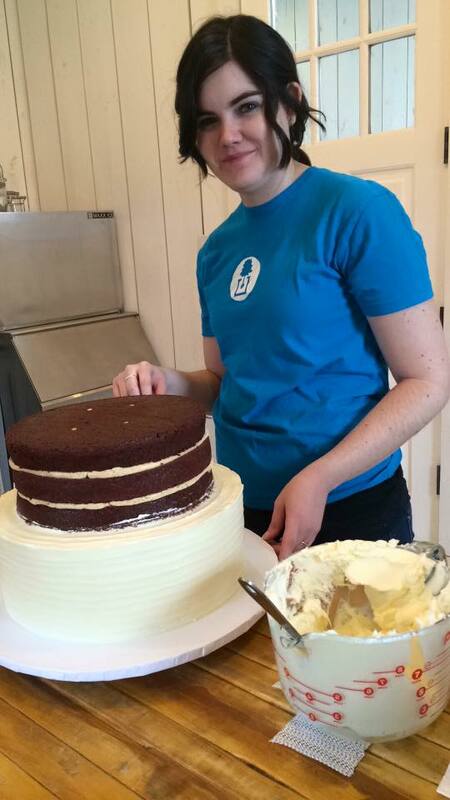 After I graduated in December 2011, I started taking cake gigs from friends and family who wanted to support me and, of course, needed cake for some reason or another. From word of mouth, my business has steadily expanded over the last couple of years. Each cake that I’ve done has allowed me the chance to learn new techniques and expand my capabilities. Sometimes clients have a specific idea of what they want (which is great! ), and sometimes clients come in with only a theme and need a little help to transform their idea into something better than they could’ve imagined. I love working with people to create something that’s uniquely made for their event.